The Alliance for Safe Biologic Medicines has established a International Advisory Board for the purpose of providing ASBM’s Chairman, member organizations, and the general public guidance and expertise as the FDA moves forward to implement a pathway for biosimilar medications. In conjunction with the mission of the Alliance, which is to serve as an authoritative resource of information on the issues surrounding biologic medications, the IAB will draw from their extensive backgrounds and serve as an important resource as they evaluate the future of biologics and biosimilars in the United States, Canada, and the EU. Countries across the globe have gathered much data which can, at a minimum, help inform our own policy makers. The Alliance and its IAB will take advantage of the opportunity to learn from their experiences, both positive and negative. Members of the IAB are experts and leaders in health care, medicine, science, technology, economics, as well as representatives of the patient community. Their perspective and insight will play an essential role in the Alliance’s development of effective and practical policy positions and in providing advice to policy makers. Members of the IAB will also assist the Alliance in addressing the whole range of issues related to patient safety and biologic medicines. Together they seek solutions that keep medical decisions between patients and physicians and ensure affordability and accessibility of biologic medications while never compromising on patient safety. Philip Schneider has served as ASBM’s Advisory Board chair since 2014. 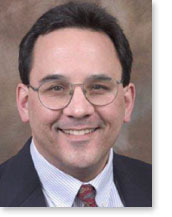 He is currently Professor and Associate Dean for Academic and Professional Affairs for the University of Arizona College of Pharmacy, where he provides oversight of educational initiatives at the newly created Phoenix Biomedical Campus. Prior to this position, he held positions at The Ohio State University for 33 years. This included work directing the Pharmacy Residency program at OSU where he also led an interprofessional program to improve the medication use system to reduce adverse drug events. Dr. Schneider is a past president of the American Society of Health-System Pharmacists (ASHP) and has served as chairman of the Board of Pharmaceutical Practice of the International Pharmaceutical Federation (FIP). He was the 2008 recipient of the Harvey A.K Whitney award, known as health-system pharmacy’s highest honor, for his outstanding contributions. Dr. Valderilio Azevedo is Adjunct Professor of Rheumatology in the Department of Internal Medicine at the Hospital de Clínicas and Federal University of Paraná- Brazil, and Head of Spondylarthritis Unit.He has been a member of the Brazilian Society of Rheumatology’s Committee of Spondylarthritis since 2004, and a member of the Brazilian Committee of Rheumatic Patients since 2010. He has been principal investigator of EDUMED Health Research and Education and EDUMED BIOTECH since 2009. He is a member of the Steering committee of GRAPPA – Group for Research and Assessment of Psoriasis and Psoriatic Arthritis and of ASAS- the Assessment of Spondyloarthritis International Society Since 2010 he has been General Coordinator of the Latin American Forum on Biosimilars (FLAB). Dr Azevedo is an author of books, chapters of books, and articles on biologic medicines and clinical research at and frequently speaks at national and international events. Dr. Bruce Babbitt (PhD) is a Principal Consultant at PAREXEL Consulting where he draws on over twenty years of R&D, drug development, and regulatory affairs experience to assist biotechnology companies in formulating strategies to move investigational drugs quickly into the clinic. His broad biologics development expertise includes recombinant proteins, blood products, vaccines, and cellular therapies, targeting indications such as oncology, infectious diseases, and autoimmune diseases. Prior to joining PAREXEL, Dr. Babbitt worked in the biopharmaceutical industry at Eligix (senior consultant; immunotherapy), Cellcor (VP, R&D; cell therapy), and Lipogen (Group Director, R&D; targeted drug delivery). He received his PhD in Biochemistry from the University of Tennessee, and a B.S. in Management Engineering from Worcester Polytechnic Institute. Dr. Babbitt completed postdoctoral studies in cellular immunology at Harvard Medical School and Washington University Medical School. Dr. Carter Beck is a neurosurgeon based in Missoula, MT. He is a graduate of the University of California at Berkeley (B.A. in Genetics, May 1988) and the University of Chicago, Pritzker School of Medicine (M.D. June 1993). He was accredited by the American Board of Neurological Surgery in May 2006. Dr. Beck is a past president of the Montana Medical Association (MMA), and a current member of the MMA’s Executive Committee and Montana Legislative Committee. He is also Vice President and Participating Investigator at the Montana Neuroscience Institute. 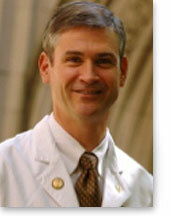 David Charles, MD is the Chief Medical Officer of the Vanderbilt University Clinical Neurosciences Institute. Dr. Charles is a national leader in Movement Disorders research and is Chairman of the Public Policy Committee for the American Neurological Association. Dr. Charles took leave from his practice in 1998 and spent a year on the staff of U.S. Senator Bill Frist, where he served as a health policy advisor. Following this experience in Washington, Dr. Charles conducted Parkinson’s disease research in France as a Fulbright Senior Scholar. Dr. Kenneth Fisher graduated from Tufts University in 1962 majoring in chemical engineering, and with distinction from George Washington University School of Medicine in 1968 having been elected to the Alpha Omega Alpha honor medical society in his third year. He was a resident, and then chief resident in Internal Medicine at the Mount Sinai Hospital in New York City, and a fellow in Kidney Diseases at Yale University, finishing training in 1974. He was employed at a number of teaching medical centers throughout his career. He has been an insulin-requiring diabetic since 1963. Dr. Fisher has been the program director for two internal medicine residencies and two nephrology fellowships and has published several scientific papers on nephrology along with many articles and a chapter regarding health policy. Dr. Fisher was also a consultant nephrologist in Kalamazoo, Michigan and the Medical Director for the Free Clinic in Kalamazoo from 2007 till its closing in 2010. He is the author of In Defiance of Death: Exposing the Real Costs of End-of-Life Care (2008), The Ten Questions Walter Cronkite Would Have Asked About Health Care Reform, (2011), and his latest book, Understanding Healthcare: A Historical Perspective (2016). Prior to his retirement, as President of University of the Sciences in Philadelphia for 14 years, Dr. Philip P. Gerbino helped guide the growth of the 188-year-old institution from its roots as Philadelphia College of Pharmacy and Science (PCPS) into the five colleges that now comprise the University. Under his leadership, the University continued to build on its esteemed reputation and is now home to 25 undergraduate and 20 graduate programs. Its 3,000 students have enrolled in the University’s premier programs in the health sciences, ranging across pharmacy with its direct entry doctoral program to pre-med to physical and occupational therapy to healthcare business and health policy. Dr. Gerbino is a Fellow of the College of Physicians of Philadelphia, the American Pharmacists Association (APhA), Academy of Pharmacy Practice and Management, and the American Society of Consultant Pharmacists (ASCP). He was the 2006 recipient of the Phi Lambda Sigma-Procter & Gamble National Leadership Award. 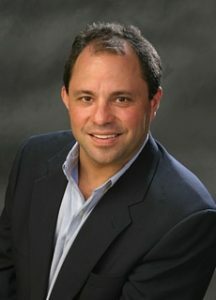 An ardent supporter of the life sciences in the Delaware Valley, he has served on editorial and advisory boards of pharmacy, medical, and healthcare publications, and is a consultant on strategic planning, marketing, and new business development to the pharmaceutical and healthcare industries. 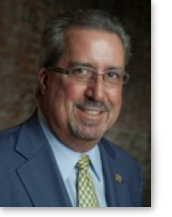 Dr. Gerbino has or continues to serve on boards of private and public healthcare companies, and regional professional and civic organizations, most recently being named chair of the board of directors at BioAdvance after six years as a board member. Other regional board affiliations include the University City Science Center, the University City Keystone Innovation Zone, Quaker BioVentures, and Pennsylvania Bio. An accomplished professional chairman and facilitator, Dr. Gerbino has published and lectured extensively. He served as President of APhA in 1990, and as a civilian pharmacy consultant to the Air Force Surgeon General. Prior to being named President at University of the Sciences, Dr. Gerbino served as Dean of the School of Pharmacy and Vice President of Academic Affairs. 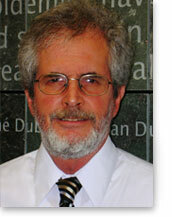 He also retains the title of “Linwood F. Tice Professor” at the Philadelphia College of Pharmacy. Dr. Gerbino earned his B.S. in Pharmacy and his PharmD. from PCPS where he has worked for more than 30 years as an educator and administrator. Dr. Gewanter is a pediatric rheumatologist and served as chair of ASBM from 2014-2017. Prior to being named chair, Dr. Gewanter served on ASBM’s International Advisory Board. While chair, he provided valuable testimony to health regulators worldwide, including the World Health Organization. ASBM expanded globally in its advocacy efforts and with its membership under his chairmanship. 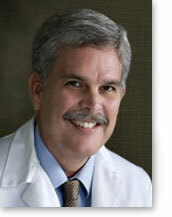 Dr. Gewanter is a graduate of Duke University and received his medical training at Wayne State University. He conducted his pediatric internship and residency at the University of Rochester/Strong Memorial Hospital. 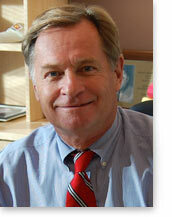 He has practiced in Richmond Virginia since 1983.
issues affecting children and youth with special health care needs. Marc J. Inglese, MD, FAAD is an Assistant Clinical Professor in the Division of Dermatology at the Florida State University College of Medicine and a partner at Dermatology Associates of Tallahassee. Dr. Inglese is board certified by the American Board of Internal Medicine and by the American Board of Dermatology. He received his bachelor’s degree and medical degree from the University of Florida before completing his internal medicine residency at the University of Florida. 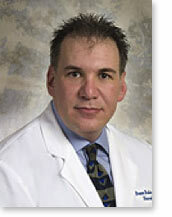 He then completed his dermatology residency at the University of Texas- MD Anderson Cancer Center in Houston. Dr. Inglese lectures nationally on psoriasis, acne, rosacea, and skin cancer and has published multiple articles in a variety of national medical journals and online publications. He has served as a board member for several organizations including the Capital Medical Society, the Florida Medical Association, and the Florida Society of Dermatology and Dermatologic Surgery. 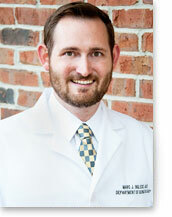 He lives in Tallahassee, FL, with his wife Melissa Dodd Inglese, PhD and two sons. He is an avid outdoorsman enjoying hunting, fishing, and sports. Dr. Jeff Jones is currently CEO and Founder of SoCal Bioinformatics Inc. specializing in data mining for biomarker discovery, statistics and informatics in support of clinical trials and biotech research. He earned B.S. degrees in Microbiology and Biochemistry from California Polytechnic State University, San Luis Obispo and received his Ph.D. in Analytical Chemistry from the University of Arkansas, Fayetteville, in 2005. Immediately following, he did postdoctoral work at the Institute for Genomics and Bioinformatics at the University of Irvine, California. 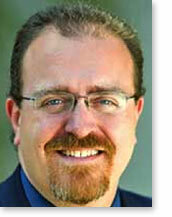 Prior to founding SoCal Bioinformatics, Dr. Jones had been with Applied Proteomics Inc. at its inception in 2007 as Senior Bioinformatics Scientist working to develop novel analytical discovery methods for plasma based cancer biomarkers, culminating in the launch of the colorectal cancer diagnostic assay SimpliPro Colon. Ron is an entrepreneur and pharmacy leader with informatics expertise. He founded businesses in Hospice and pain management pharmacy, health benefit software and informatics consulting. He was also an executive at companies offering an internet consumer prescription marketplace, supply chain transformation and health insurance. Formerly President, American Pharmacists Association and Trustee, NCPDP, he was instrumental in pharmacy’s patient care focus and developing consensus standards for electronic health information. He earned his BS Pharmacy at URI and studied three years in a Doctoral program in pharmaceutics. Ron enjoys cooking, music, the arts and yachting in his spare time. Dr. Lavernia has been a practicing diabetologist in South Florida for over 30 years. He was the founder and director of the North Broward Diabetes Center in Pompano Beach, Florida. He lectures nationally on obesity, pre-diabetes, diabetes and their complications; he also speaks on lipid and hypertension disorders. He presents at Pri-Meds, American College of Physicians, NACE programs. Dr. Lavernia has published multiple articles in a variety of national medical journals and online publications. He has appeared on the Discovery Channel and on NPR (radio). He most recently completed various CME videos for the American Diabetes Association. He is an adjunct faculty member of the National Diabetes Education Initiative (NDEI), Vascular Biology Working Group (VBWG), and for the Coalition for the Advancement of Cardiovascular Health (COACH). He is also a member of the American Diabetes Association and National Hispanic Medical Association. Spencer Lieb, MPH, has worked in public health since 1972. His experience has included STD investigation and methadone maintenance program management in New York City, and statewide communicable disease control in Florida. He received his MPH degree in epidemiology from the University of Texas. He has served three years as statewide HIV/AIDS prevention program administrator and eight years as HIV/AIDS surveillance program administrator with the Florida Department of Health (FDOH)/Bureau of HIV/AIDS. From 1997 through August 2011 he was Senior Epidemiologist with the Bureau. Since then he has been the HIV/AIDS Research Coordinator for the Florida Consortium for HIV/AIDS Research (FCHAR), part of The AIDS Institute, which is a private nonprofit agency. As FCHAR’s Coordinator, he works to bring about formal inter-institutional and multidisciplinary collaboration on HIV/AIDS studies, to attract more research resources to Florida. Lieb has authored more than 40 research articles on communicable diseases and HIV/AIDS. 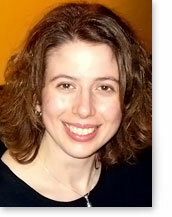 Patricia Lucente, MS, PA-C, is a physician assistant who has worked with the Native American population for 10 years. She currently is a Family Medicine PA at Hu Hu Kam Memorial Hospital on the Gila River Reservation in Sacaton, AZ. This year, Patricia celebrates her two year colon cancer survivorship. She was diagnosed with Stage 3 colon cancer in August 2010 at the age of 37. After dealing with vague GI symptoms for several months and having an uncle diagnosed with stage 4 colon cancer in June 2010, she asked for a colonoscopy and was shocked at her diagnosis at such a young age. She underwent surgery and 6 months of FOLFOX chemotherapy. Because of this experience, she is now a dedicated advocate for education and screening for colorectal cancer, especially for those under 50 with symptoms and/or a family history of colon cancer. Her goal is to promote awareness of the disease among a younger population. Patricia is an active member of the Central Arizona chapter of the Colon Cancer Alliance. In her free time, she enjoys reading, hiking, cycling, and travelling. Marc S. Malandro, PhD serves as the Associate Vice Chancellor for Technology Management and Commercialization and oversees the technology commercialization and licensing activities of both the Office of Technology Management and the Office of Enterprise Development, Health Sciences at the University of Pittsburgh. He is also an Adjunct Professor in the Departments of Medicine and Biomedical Engineering. 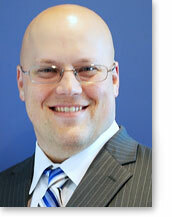 He serves on the Board of Directors of Pennsylvania Bio and the Pittsburgh Technology Council. He is also a Certified Licensing Professional and Registered Technology Transfer Practitioner. He has been with the University since 2004 where he previously served in the roles of Technology Licensing Manager and subsequently Director. Under Dr. Malandro’s leadership, the Office of Technology Management has filed over 580 new U.S. patent applications, executed over 400 license agreements and formed 29 companies based on University technologies since 2005. 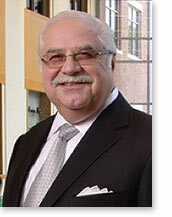 Prior to joining the University, Dr. Malandro co-founded Sagres Discovery, a systems biology company focused on the understanding of the molecular basis of cancer, where he served as Vice President of Technology and Strategic Alliances and was involved in all aspects of intellectual property, licensing and alliance management. Dr. Malandro received his PhD in Biochemistry and Molecular Biology from the University of Florida, College of Medicine and completed his postdoctoral fellowship in the Department of Human Molecular Genetics at Case Western Reserve University in Cleveland, Ohio. 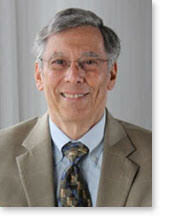 Dr. Malandro is also the inventor on over 30 issued or pending patent applications. 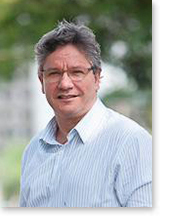 Dr. Alejandro Mercedes is a clinical oncologist at the Instituto Nacional del Cáncer Rosa Tavares (INCART), the National Cancer Institute of the Dominican Republic. Dr. Mercedes has previously served as Head of the Department of Medical Oncology and Chief of Research and Development of Protocols, at the Instituto de Oncología Dr. Heriberto Pieter. Prior to this, Dr. Mercedes served as Chief of Service at the Hospital Central de las Furzas Armadas (Armed Forces Central Hospital) and as a clinical oncologist at the Nuestra Señora de la Altagracia Maternity Hospital. in Santo Domingo, Dominican Republic. Dr. Mercedes earned his undergraduate degree in basic sciences from Pedro Henríquez Ureña National University and his medical doctorate from Santo Domingo Autonomous University. He completed postgraduate training and fellowships in oncology, bone marrow transplants, and breast cancer research at Hospital de la Santa Cruz y San Pablo in Barcelona, Spain. Stephen is a board director of Consumers Health Forum of Australia, a member of the Stakeholder Advisory Committee of the Australian Independent Hospital Pricing Authority, a member of IAPO’s 6th Global Patents Congress Advisory Committee and a Life Fellow of the Royal Society of Arts. In 2006 Stephen commenced work in the community sector as CEO of Cystic Fibrosis Victoria, a post he retired from on 30 March 2012. During his tenure at CFV he was also Chair of the Chronic Illness Alliance, Chair of Consumers Health Forum of Australia and a Board member of the Australian Council for Healthcare Standards. 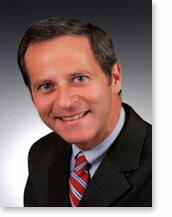 He has a strong track record with strategic health consumer policy and advocacy work. Formerly, Stephen was Vice President of Swinburne University of Technology, where he worked for nine years from 1995-2004. Before joining Swinburne, he was the Foundation Head of Continuing and Community Education at the now Open University of Hong Kong (1992-95). 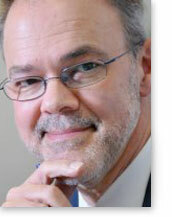 Stephen has spent over 30 years in “Greenfield” public and community sector innovation around the world. He was born in Melbourne, Australia and currently lives in far north-west Scotland and has travelled widely in Europe, Asia and North America. He has diverse community interests, working with a number of community organisations, groups and councils. He has been a board member of the Sir Edward Dunlop Medical Research Foundation, Chairman of More Than Opera and a Director of the RSA in Australia & New Zealand. Dr. Nash is a board certified internist who is internationally recognized for his work in outcomes management, medical staff development and quality-of-care improvement. In 1995, he was awarded the Latiolais Prize by the Academy of Managed Care Pharmacy. He received the Philadelphia Business Journal Healthcare Heroes Award in October 1997 and was named an honorary distinguished fellow of the American College of Physician Executives in 1998. 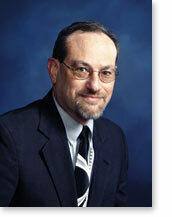 In 2006, he received the Elliot Stone Award for leadership in public accountability for health data from NAHDO. In 2009, Dr. Nash received the Wharton Healthcare Alumni Achievement Award. Dr. Nash received his BA in economics (Phi Beta Kappa) from Vassar College; his MD from the University of Rochester School of Medicine and Dentistry, where he was recently named to the Alumni Council; and his MBA in Health Administration (with honors) from the Wharton School at the University of Pennsylvania. While at Penn, he was a former Robert Wood Johnson Foundation Clinical Scholar and Medical Director of a nine-physician faculty group practice in general internal medicine. Dr. Nash lives in Lafayette Hill Pennsylvania, with his wife of more than thirty years, Esther J. Nash, MD. They have fraternal twin twenty-three-year old daughters and a twenty-year old son. He is an avid tennis player. Dirk Reitsma, MD, is vice president and head of oncology global product development at PPD. He established and leads the company’s biosimilar services development group, which brings together cross functional, global expertise and resources in the development of large molecule biologic drugs. Dr. Reitsma has extensive clinical development experience, having joined PPD from MedImmune, where he served as vice president of clinical development since 2004. At MedImmune, he led the company’s active clinical oncology programs in biologics and oversaw the expansion of its oncology clinical development department. Dr. Reitsma’s experience also includes serving as vice president of clinical affairs and medical director at Antigenics, and as associate director and senior clinical research physician in oncology at Novartis Pharmaceuticals. Earlier in his career, he was associate director, clinical research head, clinical section, at Bionetics Research, Inc. and medical advisor in the medical research department at Organon International, Inc. in Rotterdam, The Netherlands. Dr. Reitsma received a bachelor’s degree in science from the Medical Faculty of Rotterdam and a medical degree from Erasmus University in The Netherlands. Dr. Bruce Rubin is an Assistant Professor of Clinical Neurology, Department of Neurology, University of Miami Miller School of Medicine. Dr. Rubin is board certified by the American Board of Psychiatry and Neurology and fellowship trained in Neurorehabilitation. Aside from general neurological issues, Dr. Rubin’s interests include Acute Traumatic Brain Injury, Pain and Spasticity Management. He runs an active Spasticity clinic at Jackson where patients are often managed with Botulinum Toxin Injections and Intrathecal Baclofen pumps. 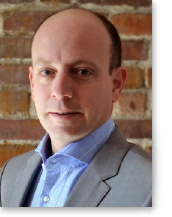 His research interests include the use of Botulinim Toxin injections in the management of pain and spasticity. Professor Stavljenič-Rukavina is the Vice Dean for Science at the Dubrovnki International University. Prior to that, she spent many years as a professor at the University of Zagreb School of Medicine, and was the leading person for health system organization and improvement in Croatia with a particular interest in the quality of care. She has had a varied career as a politician (served as Minister of Health), academic and consultant. Her most recent work involved the establishment of the Quality system in Montenegro within the Reform of Montenegro health system project. She is a founder of the Croatian Association for Quality in Health Care. 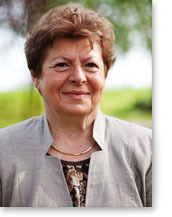 The association was established 2003, and Prof. Rukavina was its Vice President until 2007 and board member since 2008. Prof. Rukavina also initiated the participation of Croatian hospitals in The World Health Organization Performance Assessment Tool for Quality Improvement in Hospitals (PATH) that supports the use of standardized data collection tools for performance measurement. Since 2009, she is engaged in Croatian Agency for Quality in Health Care and Accreditation as a Chair of Central Commission for Quality standards and Accreditation. Prof. Rukavina has an enviable record in research and education. She authored some 320 scientific and professional papers, eight books and 51 chapters in books and was involved in 23 scientific research projects. She was the organizer of 34 continuous education courses and is a member of the advisory boards of two national and five international journals. Eric Thompson, PhD, is investigating biological signals to improve treatment options for patients. From simple indications like breathing to complex processes such as exchanging messages in tumor nuclei, biomarkers inform scientists and doctors about the inner workings of an individual’s biology. Eric’s work involves moving tests for biomarkers from research into the clinic. Eric serves as the Director of Biomarker Research for a cancer research organization, the International Genomics Consortium, located at the Phoenix Biomedical Campus. He also serves in that role for Paradigm, a new diagnostic company the International Genomics Consortium launched with the University of Michigan to advance cancer care. Prior to Paradigm and the International Genomics Consortium, Eric served as the Assistant Director of the Predictive Safety Testing Consortium at the Critical Path Institute based in Tucson. He helped oversee the efforts of a group of pharmaceutical companies collaborating to obtain federal regulatory qualification of biomarkers that predict safety outcomes for use in drug development. From 2008 to 2010, Eric managed biomarker evidence research at Caris MPI, an International Genomics Consortium spin-off company. An Arizona native, he earned his PhD in pharmacology and toxicology at the University of Arizona and received his post-doctoral training at Mayo Clinic in Arizona. Dr. Yapundich is a board certified neurologist in Hickory, NC with expertise in several areas with over 17 years of experience. He has won Castle Connolly’s Top Doctors 2012. Dr. Yapundich graduated from West Virginia University and completed his fellowship at University of Alabama at Birmingham in 1996.